Workers’ compensation is a legal system that helps workers receive benefits for job-related injuries. In order to apply for workers’ compensation benefits, the injured worker must submit a request to the Maryland Workers’ Compensation Commission (the Commission). The Commission reviews each request and decides which benefits to award, if any. If the injured worker is unhappy with the Commission’s decision — due to an outright denial or an award of insufficient benefits — there is an appeal process in place. There are three main steps in this appeals process: Hearings, Rehearings and Court Appeals. In order to request the initial hearing, the injured worker must complete and submit an Issues Form to the Commission. The injured worker will select the relevant issue(s) on the form — such as the nature of the injury or the calculation of average weekly wages. 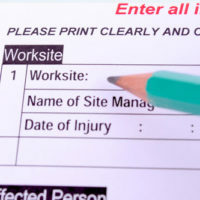 The injured worker must send the completed Issues Form to the Commission as well as their employer and insurance company. A Commissioner conducts the hearing, considering arguments and evidence from the injured worker and the employer. Then the Commissioner determines the appropriate level of workers’ compensation benefits. If the injured worker is unsatisfied with the Commissioner’s decision, then the next step would be a rehearing. In order to request a rehearing, the injured worker must complete and submit a Request for Rehearing form. This form is due within 15 days of the date of the initial hearing. Upon receipt of a Request for Rehearing form, the Commission will decide whether to grant the injured worker’s request. In most cases, a rehearing is only appropriate in cases of legal error or new evidence. Stated otherwise, the Commission does not usually grant requests for a rehearing. If the Commission denies the request for a rehearing, then the injured worker may file an appeal with the Maryland courts. The same applies if the injured worker loses at the rehearing. 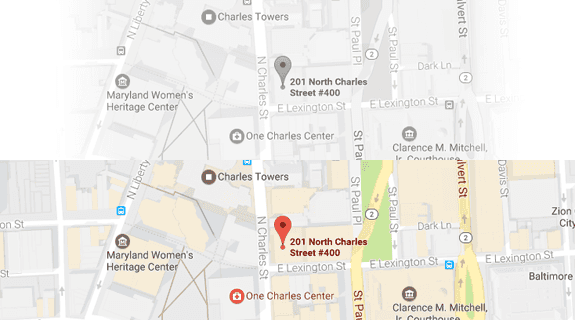 In either case, the next step involves an appeal with the Maryland courts. In order to file a court appeal, the injured worker must contact the nearest Circuit Court and file a Notice of Appeal. The injured worker has 30 days from the date of the rehearing decision to file their appeal. At the Circuit Court hearing, the injured worker and the employer will have a chance to present arguments and evidence. Then the Circuit Court will either agree or disagree with the Commission’s decision. The Circuit Court may disagree with the Commission in whole or in part. In certain cases, the Circuit Court even sends the dispute back to the Commission for further proceedings. if you have legal questions about workers’ compensation in Maryland, it can be profoundly helpful to retain the services of a proficient workers’ compensation attorney. The attorneys at Iamele & Iamele, LLP in Baltimore, Maryland, have the knowledge and skill required to help you secure workers’ compensation or appeal the denial of benefits. Reach out to us today for help.